”Steady in the Saddle” is a grungy funk rock song inspired by Aesop’s fable where the vengeful horse is betrayed and subjugated by the hunter. This time the horse is replaced by a trigger happy narrator who binges on fake news and conspiracy theories and gives support to deceitful demagogues. ”Steady in the Saddle” is the first single off of Smith’s upcoming full-length album which will follow 2018’s debut EP Sleepless Town. 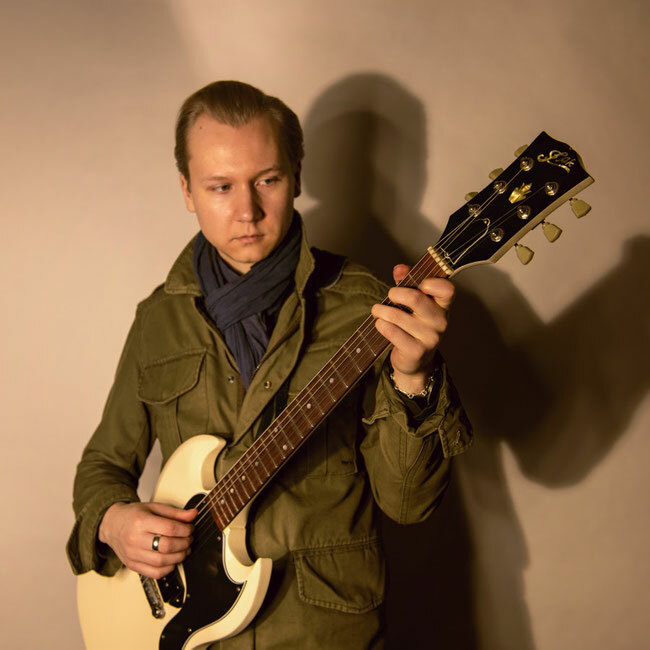 Ossian Smith (AKA Tuomas Räisänen) is a Finnish guitarist/vocalist who makes music with elements going all the way to the misty dawn of rock & roll when the electric guitar first disturbed the waters of decency. However, instead of being hellbent on ”authenticity” and recreating bygone times, Smith is focused on merely enchanting his already potent songs with a timeless magic. Backing him up is a rock-solid band featuring keyboard player Miiro Kesti, bassist Markus Ilkka and drummer Timmo Salakka.